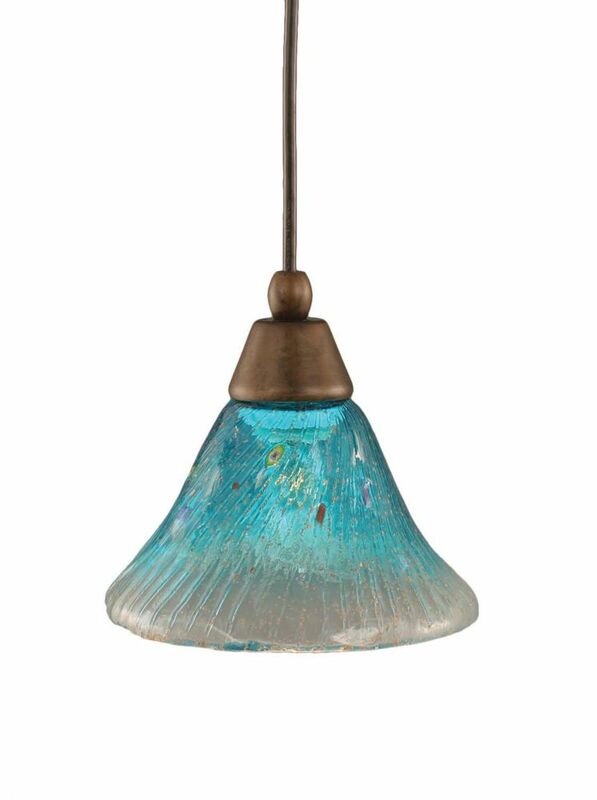 Concord 1-Light Ceiling Bronze Pendant with a Teal Crystal Glass is rated 1.0 out of 5 by 1. Rated 1 out of 5 by Mudgey from If you don’t ever have to turn this on, it’s... If you don’t ever have to turn this on, it’s beautiful. Turned on, it’s a cold blue piercing light that hurts your eyes (I used a soft white bulb), and casts a harsh blue light around the room.